Safe Bus and RV towing in the Metro Atlanta area can present a variety of challenges. The shape and length of these large, extended vehicles make them difficult hauls to move without specialized equipment. Thankfully, Kings Heavy Duty Wrecker Service Atlanta GA has got you covered. 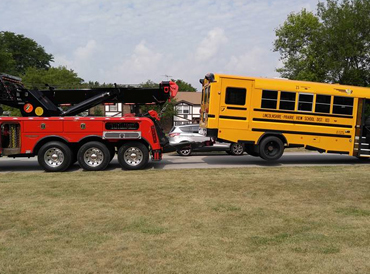 Kings Heavy Duty Wrecker Service Atlanta GA provides safe and efficient bus and RV towing services not just in the entire Metro Atlanta area, and throughout surrounding cities. Offering superior semi towing commercial drivers rely on Kings Heavy Duty Wrecker Service Atlanta GA for all of their service needs. We know you need to get back on the road quickly and aim to get you there again safely. 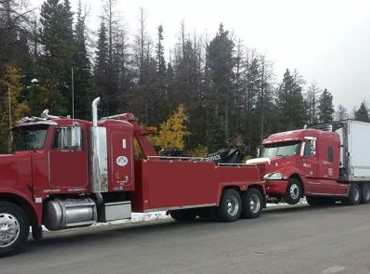 With professional heavy duty towing we can haul you quickly at a low competitive cost. Licensed, certified and insured you can trust that your truck or heavy duty equipment is in capable and dependable hands. Our team does not see you as a ticket. We treat you with respect and aim to help you. That is our goal. Heavy duty towing requires heavy duty expertise. When one of your tractor trailers or equipment is out of commission, it negatively impacts your bottom line. Getting your heavy duty vehicle or tractor trailer towed and recovered requires the right equipment and expertise. At Kings Heavy Duty Wrecker Service Atlanta GA, we have the experience you need to get your trucks back on the road. We pride ourselves on our ability to provide solutions for your transportation needs. As such, we have a diverse fleet of towing trucks and equipment that will get you from where you are to where you need to be. 24 Hr Heavy Duty Towing Atlanta GA! Heavy duty towing requires heavy duty expertise. When one of your tractor trailers or equipment is out of commission, it negatively impacts your bottom line. 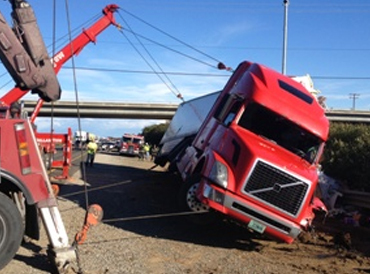 Getting your heavy duty vehicle or tractor trailer towed and recovered requires the right equipment and expertise. At Jerry's, we have the experience you need to get your trucks back on the road. Our heavy duty towing and recovery services Decking/undecking, Load shifts and load transfers, Air Cushion, End loader service, Plug-in service, Secure storage, secure impound, Mobile service calls—24-hour mobile repair, Recovery (roll-over, water, or ice), Roadside assistance (flat tires, blow outs, break-downs, jump-starts, pull-starts, ) and more. Emergency Towing and Recovery We're on call 24 hours a day, seven days a week. If you need help in Metro Atlanta, call us at 678-933-1672 anytime. At King's Heavy Duty Wrecker Service, we pride ourselves on our ability to provide solutions for your transportation needs. 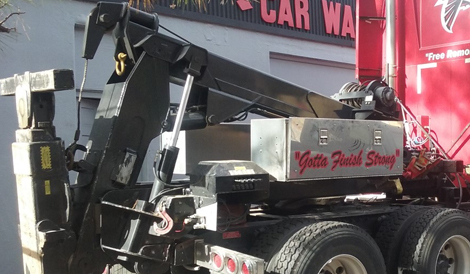 As such, we have a diverse fleet of towing trucks and equipment that will get you from where you are to where you need to be.ur focus is on providing fast and reliable service to our customers in need. Our company is staffed with people who understand the importance of dependability and quality service. We will be there when you need us. We guarantee your convenience as we have a 24 Hour service. Our staff is on call 24 hours a day seven days a week. Many companies claim this impeccable service but you can't count on them in time of need.